Maruti SX4, one of the most selling car in the Indian auto market. 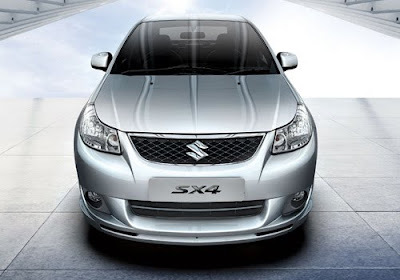 The all new SX4 developed by the country's biggest auto manufacturer, Maruti Suzuki India Limited. 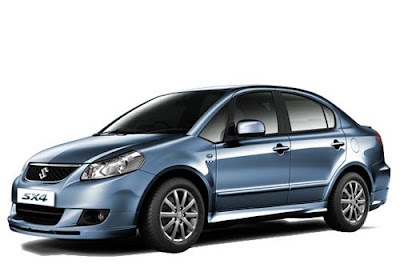 The company has launched the new variant of its popular sedan model SX4. The new version of SX4 is equipped with the latest BS-IV compliant petrol engine. It is comes loaded with 1.6 L 16-valve M-series engine that generates maximum power output of 87bhp @ 6000rpm and maximum torque of 145 Nm @ 4200 rpm. The 1298 cc engine is packed with MPFI ignition system. The suspensions, brakes, and transmissions were regulated in Europe, with further fine-tuning done to suit the Indian roads. The stylish interiors of SX4 have been offered a dual-tone theme, which it very appealing. The use of quality materials in the interiors gives the vehicle a premium look. The dashboard of ZXi variant is equipped with fully integrated music system, with steering mounted audio controls. Intuitive cooling in the cabin is facilitated by automatic climate control system. New Maruti SX4 is available in five variants including Vxi and Zxi, Zxi Leather, ZXI AT, ZXI AT Leather. All variant are priced between Rs 6,46,126 - Rs 8,59,315 lakh (ex-showroom-Delhi) and available in seven different shades in the Indian auto market. Exterior fo the car include tubeless tyres, alloy wheels, full wheel cover, body colored bumpers, body colored side moulding, body colored outside door handle, high mount stop lamp, front fog lamps and rear fog lamps. According to the some website reports that Maruti Suzuki is planning to introduce a new diesel version of Maruti SX4 soon in India and will be available around Rs.7.50 lakh. On the other hand, another auto manufacturer is also planning to launch new cars in India that includes Volkswagen Vento, SKoda Yeti, Tata Aria and Nissan Micra.